June 20, 2011 – At 02:37 Station 2 was requested for manpower to assist Minersville Fire Department at the scene of a 2 alarm structure fire. Engine 732 was requested to respond directly to the scene while Engine 733 was redirected to the Minersville Fire-Rescue station to standby and cover the Minersville borough in the event of any other emergencies. Once onscene crews from station 2 where split, with members assisting on fire attack on the original two fire buildings, and crews advancing handlines into the two exposure buildings to attack the rapidly spreading fire. Crews remained onscene for several hours to assist with overhaul and continue with coverage on the stand-by assignment. Info from Schuylkillhose.com. 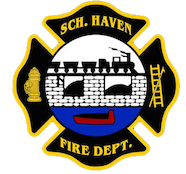 June 18, 2011 -At 22:15 Stations the Schuylkill Haven Fire Department was dispatched to 333 Center Avenue, (KNBT Bank), for an automatic fire alarm. Just as units began to respond SCCC advised of a false activation and that the alarm was set off by cleaning personnel. All units were placed available by Chief 723. June 18, 2011 – At 15:58 Stations 2 & 4 were dispatched to 19 W. Union Street for a medical assist. Crews arrived on scene and assisted EMS. Chief 723 was in command. June 13, 2011 -At 15:32 Stations 1 & 2 were dispatched to the area of the Manheim Diner for a vehicle accident with unknown injuries. Crews arrived on scene and found a two vehicle accident with a minor injury and fluids down. Fire personnel applied absorbent to the roadway and assisted with patient care. All units were cleared by Chief 723 (Donatti) after approximately 30 minutes. June 10, 2011 – At 20:11 Station 4 was dispatched to the area of 300 Stony Mountain Road, South Manheim Township to assist multiple companies on a large brush fire. T-738 responded along with Squad 739 for manpower. Chief 722 (Sattizahn) had command. June 8, 2011 -At 14:23 The Schuylkill Haven Fire Department Rapid Intervention Team was dispatched to 10 West Centre Street, Mahanoy City for a working fire in a high-rise. Fire personnel arrived on scene and were split into two teams. The first team assisted at the fire scene and staged on the 8th floor, while the second team and Chief 722 were sent to stand by in the borough. While on stand-by in the borough, E-732 and Squad 739 were dispatched to the area of 72 South 2nd Street for wires down. Crews arrived on scene and removed a low hanging wire. All units reported back to the Station and resumed stand-by. June 7, 2011 -At 08:33 Stations 2 & 4 were dispatched to 314 St John Street in the Borough for Medical Assist. Crews arrived on scene and assisted EMS with lifting a patient. Chief 722 (Sattizahn) had command. June 6, 2011 – At 20:03 the Schuylkill Haven Fire Department was dispatched to 333 Haven Street in the borough for a possible house fire. Crews arrived on scene and found the fire was out. All units were then release by Chief 723 (Donatti). June 6, 2011 – At 8:35 the Schuylkill Haven Fire Department along with FD 41 (Cressona) were dispatched to a reported working fire in the area of 49 River Street, Cressona Borough. Crews arrived on scene and were met with 2 structures involved with fire; a residence and a detached garage. E-737 was the first of the Schuylkill Haven units to arrive on scene, and began the fire attack on Side A of the structure. Next arriving E-732 tagged a hydrant at the intersection of Main Street and River Street, and laid 5-inch up to the fire scene. Crews from E-732 stretched multiple lines and assisted with ventilation. All fire personnel remained on scene for approximately 3 hours until overhaul was completed. Chief 722 (Sattizahn) had command. June 4, 2011 – At 18:01 Station 2 was dispatched to 513 East Union Street for a carbon monoxide investigation. Crews arrived on scene and used a gas meter to check the residence. After a few minutes the activations was determined to be due to a faulty detector. All units were placed available by Chief 723.